AMARO (Udine, Italy), March 27th, 2019 – Eurotech today announced that its BoltCOR 30-17 Intel Xeon D-based Edge Server has passed VMware vSphere certification tests and is part of the VMware Hardware Compatibility List (HCL). The HCL lists all of the hardware components that are supported by each version of ESXi/vSphere. This allows the company to offer configurations to the market that can be combined with VMware vSphere certified and validated. St. Marienkirchen/Austria, Colombes/France. The acquisition of the Frauscher Sensor Technology Group GmbH by the French Delachaux Group was closed on 28 February 2019. The Delachaux Group now holds the major share in the company. The remaining shares are held by the Frauscher Management Team. Founded in 1902, the Delachaux Group is a global leader in mission-critical engineered solutions. The group’s businesses, Pandrol (Rail Infrastructure), Conductix-Wampfler (Energy & Data Management Systems) and DCX Chrome (Chromium Metal) are world-renowned for their historical know-how and ability to innovate. As a technology leader for wheel detection, axle counting and tracking solutions, Frauscher fits perfectly into Delachaux’ vision and history. By joining Delachaux’ other businesses, Frauscher adds their impressive line of products, services and systems to the group’s portfolio, which consists of solutions that are essential for the safety, reliability and efficiency of their customers' equipment and infrastructure. The Finnish GSM-R network, RAILI, has been used for operational voice communications in rail transport in Finland since 2008. Purchased systems were impending end of their life cycle and increased radio interferences from the commercial mobile networks due to the introduction of new broadband 3G and 4G radio technologies, was the trigger to search for an alternative communication solution. URCA instead uses the Finnish Public Safety Authority’s VIRVE telecommunications network to provide a national rail voice and dispatch system based on Frequentis’ bearer-independent architecture – considered to be the first bearer-independent communication (BIC) solution for rail in Europe. The organisation, Terrapinn Holdings Limited, which has the backing of Mafex - the Spanish Railways Association, is putting together an intense agenda of talks and round tables in which the latest trends in rail transport and the main challenges of the future will be addressed over two days. Digitisation or mobility as a service are just two of the topics that will be covered in the 300 planned addresses. More than 3,000 attendees from 80 countries and 150 exhibiting companies will make Bilbao the world centre of the sector. Bilbao, January, 2019.- Bilbao will be the venue for the second consecutive year of the international fair and congress entitled "Rail Live!" running from March 6 to 7, 2019. This is one of the most pertinent professional platforms in the underground, light rail and commuter transport sector that will bring together experts from all over the world. In this edition, which will be held at the BEC (Bilbao Exhibition Center) once more, it is expected to surpass last year's attendance figures. It is estimated that there will be 3,000 attendees from 80 countries, 300 speakers and 150 exhibiting companies. SANTA CLARA, Calif. — December 13th, 2018 —Based on its recent analysis of the Global Internet of Things (IoT) Platforms market, Frost & Sullivan recognizes Eurotech with the 2018 Global Frost Radar Growth, Innovation Leadership (GIL) Award for being one of the leaders in the industry leveraging innovation to deliver best-in-class solutions to its customers. Eurotech provides an IoT Integration Platform for remote data and IoT deployment ma agement and application integration. Its full suite of platform services operates in the cloud or at the edge to access, manage, and update devices. The power of the Eurotech Everyware Cloud is in the ability to provide real-time data management to help organizations trigger immediate business decisions. AMARO (Udine, Italy), 21st November, 2018 – Eurotech, a long-time leading provider of industrial embedded hardware such as gateways, servers, control systems and boards, as well as high-performance embedded computing systems and software solutions, one of the pioneers and leader in Internet of Things (IoT) enablement, announces the new 6.0 release of Everyware Software Framework (ESF), enhancing the IoT Edge Framework’s edge and cloud connectivity capability. After a long tender process, PKP Polskie Linie Kolejowe S.A. selected Frequentis to provide its dispatcher terminals and communication nodes as part of a nationwide GSM-R mobile communications network to be deployed by Prime Contractor Nokia. Nokia is providing a common IT platform for all core software in the GSM-R network for the Polish project. GSM-R (The Global System for Mobile Communications – Railway) is an international wireless communications standard for railway communication and applications. It enables reliable, digital communications between train drivers and signallers, improving call quality and introducing functional numbering, as well as new services, such as group calls, resulting in a fundamentally enhanced customer experience. 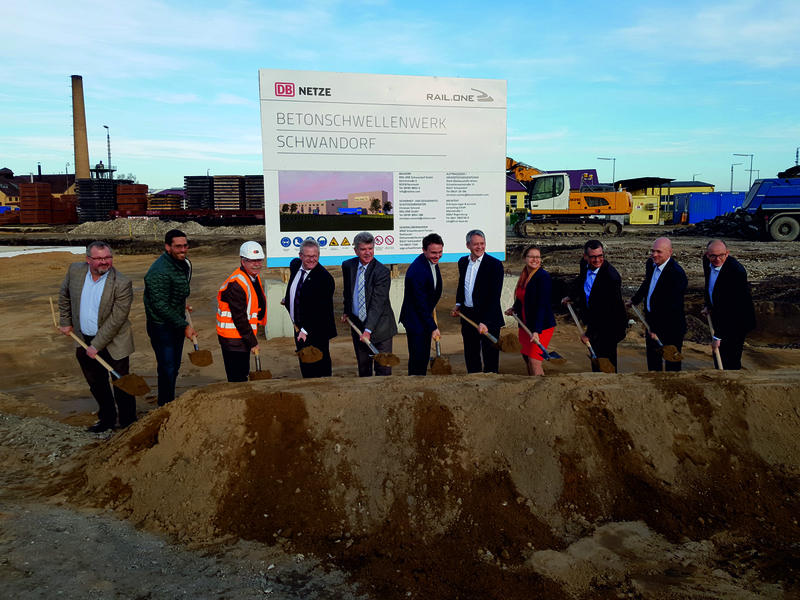 Neumarkt-based expert for concrete sleepers in rail transportation wins extensive tender from DB Netz AG and is now starting the construction phase with the groundbreaking ceremony. The new plant is being built in Schwandorf in southern Germany and scheduled to begin series production in autumn 2019. Modertrans presented the new Moderus Gamma low-floor tram for Poznań at their headquarters. After the Dragon 2 locomotive, this is yet another vehicle on the Polish market to be equipped by Medcom with power electronic devices using silicon carbide (SiC) technology as standard. The new joint offer combines Eurotech’s competence in edge computing with the core competence of CONTACT Software, the cloud back-end around the digital twins and the associated processes.Deliveries are already in progress and include full-SiC technology static converters (PSM-50 SiC), traction inverters using IGBT technology (FT-50-600), and the TCMS. Medcom will equip a total of 50 vehicles manufactured for the city of Poznań, including 30 single-ended and 20 double-ended trams. AMARO (Italy), October 12th, 2018 - Eurotech, a long-time major provider of embedded technologies and leader in Internet of Things (IoT) enablement, announced today a partnership with CONTACT Software to provide end-to-end solutions for digital business models. Both companies develop open standards for the Industrial Internet of Things in the Eclipse Open Source Community. 12 October 2018 Alstom, IGE+XAO and Safran are strengthening their collaboration by creating a Centre of Excellence in Toulouse for the engineering of onboard railway electrical systems. Located on the site of the aeronautical equipment manufacturer Safran Electrical & Power, this international Centre of Excellence will be able to accommodate up to 100 engineers. Using the packages of the software publisher IGE+XAO and relying on its technical support, the Centre of Excellence will develop railway electrical systems, from design to standardisation and operational maintenance of the electrical products of Alstom's transport solutions. Its activities will also focus on innovation. AMARO (Italy), 9th October 2018 –In the high-octane world of supercars, technical enhancements can have a big impact. Instant, reliable information is vital in the world of motor racing, where winners and losers are separated by mere milliseconds. Elite Belgian manufacturer Gillet broke the Guinness World Record for the fastest acceleration production car 25 years ago, and now they will be taking their latest award-winning model, Vertigo, to the cloud with the help of Eurotech’s IoT technology. After many months of work in the factory of Gillet, located in the agricultural town of Gembloux, the new Vertigo was designed. The supercar is powered by an impressive VW 4-cylinder 2.0-litre TFSI engine capable of producing up to 380 bhp and is surrounded by a network of over 40 sensors installed that measure vital aspects of the car’s performance and environmental metrics, including engine temperature, brake fluid levels and suspension performance. Previously, conventional engine diagnostic systems would have taken place either offline or via a network of wires and often required an investment of time and efforts by the mechanics to study, thus making it an arduous task even for the most fanatical petrol-heads. Turin, 03.10.2018 TO Move, the GTT App, was officially presented on October 1st, through which users can buy tickets, validate them on board using validators and perform other functions. On the second day, more than 5,000 people have already downloaded and installed it. The ticket can therefore be bought at any time and place, even at the stop. "From today - said the transport com-missioner Maria Lapietra - we can think of changing public transport in Turin". The Neumarkt-based PCM RAIL.ONE Group presents itself for a total of four days at the leading trade fair for transport technology in Berlin, Germany. Once again, the event has set a new exhibitor and visitor record. Interested parties and customers can find out about the company and the latest product developments on an area of 145 square meters. Two exhibits are in great demand. Neumarkt/Berlin, October 02, 2018 – 3,062 exhibitors, around 160,000 trade visitors and 155 exhibited world premieres - the twelfth edition of InnoTrans in Berlin once again stands for record numbers and huge excitement. A few days after the leading trade fair, RAIL.ONE can also look back with great satisfaction on this major event. At its own exhibition stand, the internationally active group provides information about its innovative solutions and a large number of reference projects. The Romanian subsidiary of PCM RAIL.ONE AG, S.C. TRAVERTEC S.R.L., has a new shareholder in voestalpine VAE Apcarom SA. With this step, RAIL.ONE strengthens its position in the South-East European market and sells 60% of its shares. For VAE, the acquisition also means reliable access to high-quality turnout bearers as well as to extended know-how and experience in the field of concrete sleeper production. An optimized repair schedule is built on the basis of mathematical algorithms built into the system. Smart Maintenance allows the user to manage a depot's repair workload and develop an optimized work schedule. At InnoTrans 2018, the Clover Group will present the Smart Maintenance business solution for risk-based asset management using the example of the railway industry. The solution will be introduced by a joint booth of LocoTech LLC and 2050. DIGITAL Group. Over the four days of the exhibition, the company will demonstrate how the solution works using real data from the LocoTech LLC. Smart Maintenance is based on the technology of estimating the real and forecast technical condition of locomotives. For years, MTM Power®'s series PCMD400 has been a well-proven converter series, especially designed for applications in vehicle and railway technology as well as in rugged industrial markets. With a complete redesign of this series MTM Power® provides for the frist time– with the new PCMDS400 series – converters using state-of-the-art technology, which at the same time fulfil all applicable standards for the different applications in Berlin (Hall 17, Booth 207) at the InnoTrans 2018. On top, the DC/DC converters now offer connection via push-in cage clamp connectors. The devices operate according to the push-pull principle; i. e. the input dc-voltage is chopped by two push-pull working transistors with a frequency of approx. 70 kHz. With the help of a transformer and a secondary linear choke, a galvanically isolated output voltage of 24 V is produced which is adjusted by pulse-width modulation according to the current mode principle. AMARO (Italy), 5th July 2018 –Eurotech, a long-time leading provider of industrial embedded hard-ware such as gateways, servers, control systems and boards, as well as high-performance computing systems and software solutions, one of the pioneers and leader in Internet of Things (IoT) enablement, announces the availability of the 5.1 version of Everyware Cloud (EC), its IoT Integration Platform. Everyware Cloud, one of the building blocks of Everyware IoT, Eurotech’s open, integrated and managed IoT end-to-end solution, provides all the services required for the management of IoT gateways and de-vices in the field, including configuration management, application life-cycle management and remote access. It also connects the data collected by field-deployed devices to enterprise applications and ana-lytics leveraging reliable and open protocols. The new release 5.1 of EC is based on Eclipse Kapua, the open IoT cloud platform for device and data management, of which Eurotech is the original contributor. The new release supports on-premise de-ployment on the customer’s own data center or preferred private cloud, and expands the platform’s in-tegration capabilities with Eurotech’s ecosystem partners, taking full advantage of Red Hat® OpenShift container platform and Elasticsearch® search and analytics engine. The wide input voltage range of 28…160 VDC enables the use of the converters on batteries with 36 to 100 V. The devices can be operated in a temperature range of -40…+70 °C without derating and have an excellent efficiency of up to 96 %. The completely vacuum encapsulated converter (EP 1 987 708, U.S. Patent No. 8,821,778 B2) is protected against condensation, conductive dust and other environmental conditions and available with output voltages of 12 VDC or 24 VDC. AMARO (Italy), June 21st, 2018 – Eurotech, a long-time leading provider of embedded systems and a global leader in Industrial Internet of Things (IoT) enablement, announced today that AVR, leading potato harvester manufacturer based in Belgium, has chosen the ReliaGATE family of intelligent edge computers running Eurotech’s Everyware Software Framework and Everyware Cloud to manage the edge devices for its smart agriculture project to connect its harvesting machinery. These IoT building blocks are integrated by AVR partner delaware with an MS Azure-based IoT platform that gathers, analyzes and visualizes data from sensors on tractors and other farming vehicles. With a showcase version up and running, AVR plans to release the platform for end users later in 2018, gathering market feedback to drive the development of new capabilities. No financial information has been disclosed. In cooperation with its industrial partner FBO, specialists in pneumatic/electro-pneumatic systems, LEROY AUTOMATION invite you to attend the high-end Rail Technology conference track to learn about a secured and innovative automatic speed-controlled sanding system for rolling stock vehicles. LEROY AUTOMATION and FBO will take the floor on Tuesday 12th of June 2018 at 14:30. The DC/DC converters are used for supplying points, signal lamps and electronic monitoring of the rail net. The specific feature of the series HVC is its use as a self-starting module for trams or trolley buses with exhaustive discharged batteries so that the towing process can be avoided. At any time SEE Gen e-doc builds or re-builds on the fly all or part of the electrical documentation. This avoids large and quickly obsolete paper documentation manual creation or edition. 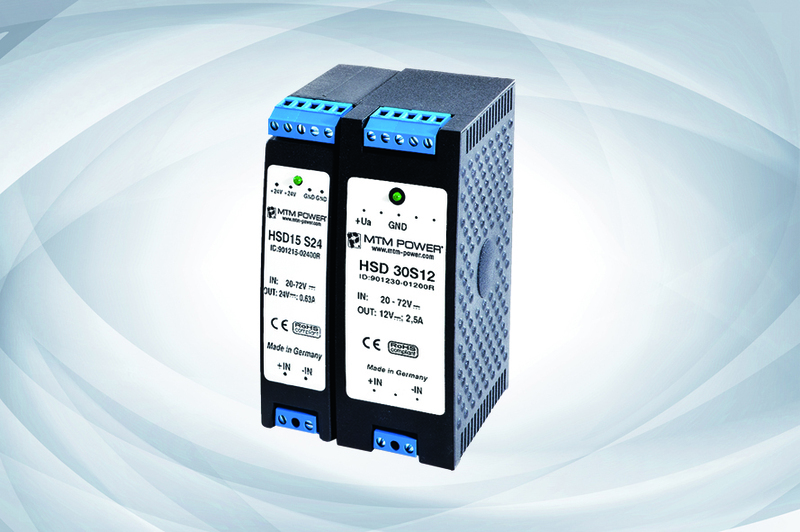 The DC/DC converters of the series PMGS/PCMGS14 from MTM Power have been designed for transport and railway applications where low-ranged power is needed. The devices operate at a nominal input voltage of 72 VDC or 110 VDC and supply an output voltage of 24 VDC (12 VDC and 48 VDC on request) with a high efficiency of ≥90 %. The PMGS/PCMGS14 are available with an input reverse polarity protection by a series diode and are continuous short circuit protected. The converters operate at an ambient temperature range of –25 to +70 °C (EN 50 155, class T3), fulfill the safety standards acc. to EN 50 155, EN 50 124-1 and meet the EMC requirements acc. to EN 50 121-3-2. The converters are designed to withstand interruptions of the supply voltage up to 10 ms and thus, comply with class S2 acc. to EN 50 155. After ten months of construction, RAIL.ONE commences series production and grants access to the production site during the inauguration. The company will supply up to 600,000 concrete sleepers per year from its new plant in future. Aschaffenburg (Germany), April 11, 2018 – With numerous signatures on the symbolic first series-produced B 70 sleeper from Aschaffenburg, RAIL.ONE, a group of companies based in Neumarkt, commenced operation of its new concrete sleeper plant in Aschaffenburg, Bavaria. In the presence of representatives from politics and business, a large number of neighbours and the staff from the new location, Jochen Riepl, Chief Executive Officer of PCM RAIL.ONE AG officially opened the plant: “Our new location is a very important addition to our other production facilities in Germany and is therefore important for the long-term success of our entire Group. We are still able to support our most important customer, Deutsche Bahn, with four locations. Upholding our tradition and our reputation, we will reliably supply high-quality products for new construction, expansion and maintenance of the German rail network from this plant as well.” Mr. Riepl is also delighted about the attendance of the Group’s Supervisory Board, which travelled all the way from India to celebrate the inauguration together with the invited guests. The sensor technology expert develops innovative solutions for the Indian railway market. In only five years since the market entry in 2013, Frauscher Sensor Technology has achieved strong growth in India. Approximately 100 employees research, develop, produce and sell innovative railway sensor technology systems, successfully addressing the specific challenges of the Indian market with newly designed and adapted products. To meet increasing demands, the staff in Bengaluru recently moved to a new office in the Prestige Khoday Tower, No. 5, Raj Bhavan Road, where visitors will now be welcome in representative premises for discussions and trainings. On course for growth: By moving to a new office in Bengaluru, Frauscher India has strengthened its ability to meet the requirements it faces. “The potential that we discovered in India is in fact even greater than we initially thought. Additionally, we have established our product presence in SEA countries, such as Malaysia, Indonesia, Myanmar and Korea”, says Alok Sinha, Managing Director of Frauscher India. “Within only five years, the location grew from two to approximately 100 employees. We established a dedicated R&D team and increased our order backlog to 40 million euros.” The opening of the new office was celebrated on 15 February 2018. After a meet and greet, which was followed by the official inauguration, all participants gathered at the Shangri-La Hotel Bengaluru for an evening event. There, Michael Thiel, CEO Frauscher Sensor Technology spoke about the visions of Frauscher. Akhilesh Yadav, COO Frauscher Sensor Technology India Private Limited gave a speech on the latest innovations in axle counting, partially produced in Frauscher India’s own production plant in Mysuru. Another office in Delhi provides customers in India with additional support. Frauscher offers wheel detection systems, axle counters and tracking solutions based on inductive sensor technology and Distributed Acoustic Sensing (DAS), making it easier for system integrators and railway operators to obtain the information they need to run, monitor and protect their operational network. Michael Thiel emphasizes: “From a strategic point of view, India is extremely important for us. It is also classed as one of the core markets for the Frauscher Tracking Solutions FTS, which are based on DAS." FTS offers solutions for fundamental requirements such as continuous train tracking, the monitoring of train and infrastructure components and the detection of unauthorised movements in certain areas. In pilot projects and close cooperation with Indian Railways, Frauscher is developing a system for the ongoing real-time monitoring of components and the transfer of information for the planning of preventive and acute maintenance works. With the PCMAT150 S24, MTM Power® introduces a new generation of AC/DC modules which can be installed as a decentralised power supply for industrial and railway applications. From wide AC/DC (85…264 VAC) and DC/DC (100…300 VDC) input ranges for the worldwide use in industrial networks, a 24 VDC output voltage is generated. The contact-cooled devices have a power good signal as well as an active PFC. Further features are an operating temperature of -40…+70 °C, remote control and 150 % power boost. The design of the isolation coordination acc. to overvoltage category OV 3 enables the use in applications with high transients as e. g. energy technology. For the use on rail vehicles, the devices were tested according to the standards of EN 50155 and EN 50121-3-2/EN 50121-4. In compliance with the conditions of the railway regulations the units can be used on railway vehicles on the 400/230 VAC internal on-board train power system, in track-side applications and in stationary railway systems. Track system from RAIL.ONE used in major rail infrastructure project in South Korea. Railway line connects Incheon Airport, Seoul and the Olympic venues in the east of the country. The Winter Olympic Games start on 9 February and will last until 25 February. Neumarkt (Germany), February 6, 2018 – Following the Summer Olympic Games in Seoul in 1988, South Korea is once again set to host an Olympic event. When the 23rd Winter Olympic Games launch in Pyeongchang, South Korea this week, Neumarkt-based company PCM RAIL.ONE AG will look with pride at the East Asian country. Working with its Joint Venture in South Korea, TM Track Systems Ltd., the experts for concrete sleepers and track systems produced and delivered a huge part of the route for the railway line from Incheon to Gangneung. The UI characteristic of the output voltage is suitable for the supply of difficult loads such as capacitance, motors or halogen lamps. The dimensions are 192 x 115 x 68 mm (length x wide x height). The primary switched DC/DC converters PCMDS150WK-IP65 from MTM Power are specially designed for applications in vehicle and rail technology but also for use in industrial and telecommunication applications. The push-pull topology used while developing these converters enables a wide input voltage range with high efficiency. Thus the 150 W converters are available with a wide input range for battery voltages of 24 V, 36 V, 48 V, 60 V, 72 V, 80 V, 96 V and 110 V acc. EN 50 155. With the help of a transformer and a secondary linear choke, a galvanically isolated output voltage of 24 V is produced which is adjusted by pulse-width modulation according to the current mode principle. Eurotech a leading provider of embedded systems, Machine-to-Machine (M2M) patforms and internet of Things (loT) solutions, today annouced a partnership agreement with ALTEN Calsofts Labs, a digital transformation, technology concsulting, enterprise IT and product engineering services company, that offers best of the breed offering for industry verticals in the internetog Thinhs domain. As a leading global provider of integrated planning, dispatching, telematics and ticketing systems, INIT will be unveiling its latest solutions at IT-TRANS, which takes place from 6 - 8 March 2018 at the Karlsruhe Trade Fair Centre. Visitors can discover all the benefits of INIT systems at INIT Stand D 2, and find out all about the many trends in local public transport. At the trade fair, INIT will be presenting innovative smart ticketing solutions based on ID-based ticketing, Open Payment and mobile payment. In July 2017, the revolutionary electronic fare management system Hop Fastpass™ went live with the Tri-County Metropolitan Transportation District of Oregon (TriMet) in Portland, and at two other transportation companies in the metropolitan region of Portland/Vancouver. This marked the beginning of a new age in local public passenger transport in the US. Because now, for the first time, users of local public transport can enjoy the benefits of account-based fare management, incorporating best price options, and Open Payment. Since their introduction, the electronic tickets have been used more than one million times – an impressive success. Neuhausen am Rheinfall, 22 January 2018 – Public transport is becoming increasingly significant. Cutting-edge systems are needed to interlink and coordinate existing and future networks, vehicles and technologies. Trapeze has accumulated more than 50 years of experience in the field of public urban passenger transport – expertise paired with high innovative power and meeting top quality standards. The company is thus excellently equipped to meet the current and future mobility challenges of public transport companies and their clients. At this year’s IT-TRANS in Karlsruhe, to be held from 6 to 8 March 2018, the company is showing innovative solutions at its booth F2 in the areas of planning, depot management, operations control, vehicle equipment, fare management and passenger information. The latest developments to be rolled out include, for example, products such as PitStop, LIO-Scope and SmartTalk. Moreover, Trapeze is displaying innovative and future-oriented ITCS solutions for large and mid-sized public transport authorities and now also for smaller transport organisations. Also this year, Trapeze is Platinum sponsor of the IT-TRANS. A wireless inter-carriage network requires an intelligent automatic connection establishment between the carriages. The Neratec automatic train-coupling algorithm allows for reliable detection of wanted carriages and for avoiding erroneous connections to devices on nearby tracks. Trapeze, a company with global operations, has been developing complete solutions for public and private transport companies around the world for 50 years now. Some 200 Trapeze operations control systems are now in service worldwide. Innovative, top-quality solutions and products optimise the range of services offered by public transport companies while fine-tuning the management of their operations. At the IT-TRANS, Trapeze is presenting its latest solutions for scheduled, demand response and student transport: systems for operations planning and control, passenger information, vehicle equipment plus related services. Interesting papers to be delivered in the side programme are to additionally underscore the specialist competencies of Trapeze. The ever-increasing connectivity needs require more and more data throughput throughout the train backbone. However, especially in refurbishment projects it is often very difficult or even impossible to add additional cables between the train carriages or compositions. As an alternative for additional cables, Neratec offers a wireless inter-carriage link (ICL) solution. Wireless connectivity is a shared media and the frequency bands are very crowded. Neratec has built an industry-leading ICL solution by optimizing antennas and usage of wideband radio channels in outdoor environment together with reliable algorithms and redundant transmission links. The use of MIMO antennas allows transmitting of higher data rates, e.g. with proper antennas data rates up to 450 Mbit/s can be achieved. The new Neratec ICL antenna designs solve the challenges of working in such short distance line-of-sight environments and still providing the full performance. 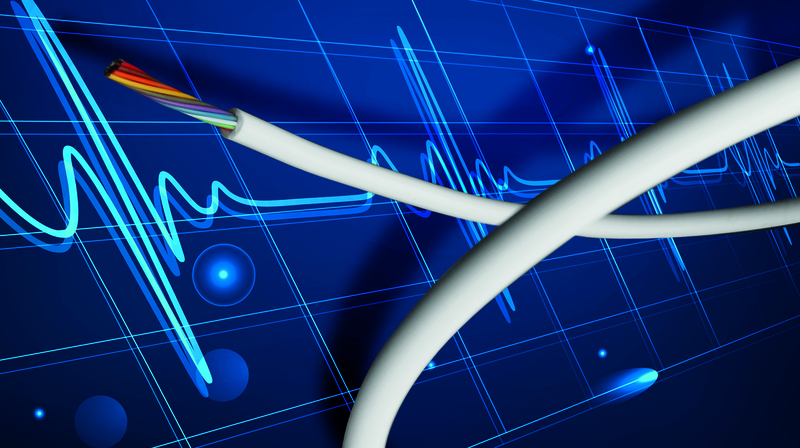 Neratec’s clever frequency management algorithms guarantee a high link availability without interruptions and full regulatory compliance in the 5 GHz bands. For more information, please visit www.neratec.com or contact us at info@neratec.com. The Hong Kong Polytechnic University (PolyU) and Southwest Jiaotong University (SWJTU) take a step forward in strategic partnership to advance the nation's rail transit technologies by setting up the Joint Innovation Center for Rail Transit Safety Monitoring Technology. A collaboration agreement was signed on 27 October 2017 between PolyU Base (Shenzhen) Limited, a registered legal entity of PolyU in the Chinese Mainland, and China SWJTU Railway Development Co., Ltd (CSRD) of Southwest Jiaotong University. Led by Mr Wang Pengxiang, Dean of Beijing Research Institute of SWJTU, Chairman of CSRD, a delegation came to Hong Kong to attend the signing ceremony on PolyU campus. The agreement was signed by Mr Wang and Ir Professor Alex Wai, PolyU Vice President (Research Development). The signing ceremony was officiated by the Guest of Honour Dr David Chung Wai- keung, Under Secretary for Innovation and Technology. Dr Chung believed this Joint Innovation Center would usher in a new phase of cooperation. He expected more mutually beneficial cooperation in the development of the Hong Kong-Shenzhen Innovation and Technology Park, the largest-ever innovation and technology park of Hong Kong, which would help connect the upstream, midstream and downstream sectors of innovation and technology industry, thereby developing Hong Kong as an international innovation and technology hub in the Guangdong-Hong Kong-Macao Bay Area. In October 2017, the German Railway Authority (EBA) approved Vossloh's HSG-city as a heavy ancillary vehicle capable of speeds of up 60 km/h. Having been approved in accordance with the BOStrab (Tramway Construction and Operation Ordinance) for North Rhine-Westphalia and by the Technical Supervisory Authority (TAB) in late 2015, this constitutes another important milestone for the company. "The HSG-city was conceived for public metropolitan and suburban commuter rail systems", says Vossloh Rail Services' Managing Director, Marcel Taubert, "so this latest approval allows us to increase its use, particularly in rapid transit interurban networks. Considering our ambition to acquire new European customers for this preventive grinding technology, we view the EBA approval as a mark of quality that will attract international attention." DAMM has successfully been chosen to replace Aurizon’s aging analog rail system with a 70+-site DAMM TetraFlex® network. terminals at Abbot Point, Dalrymple Bay, Hay Point and the Port of Gladstone. To ensure a mission critical voice and data communication network in this remote and harsh environment, DAMM’s communication solution included the ruggedized and compact IP65 encapsulated BS421 outdoor base station in full redundant configuration. Key to the Central Queensland project are the decentralized nature of DAMM TetraFlex® architecture, the ease of integration and installation, low operational cost and availability of local Queensland-based support from DAMM.. The operating company Tisséo is commissioning Vossloh to carry out preventive maintenance on Toulouse's tram network. The three-year framework agreement signed also contains two extension options each for one year. The first grinding deployments took place in the summer of 2017. 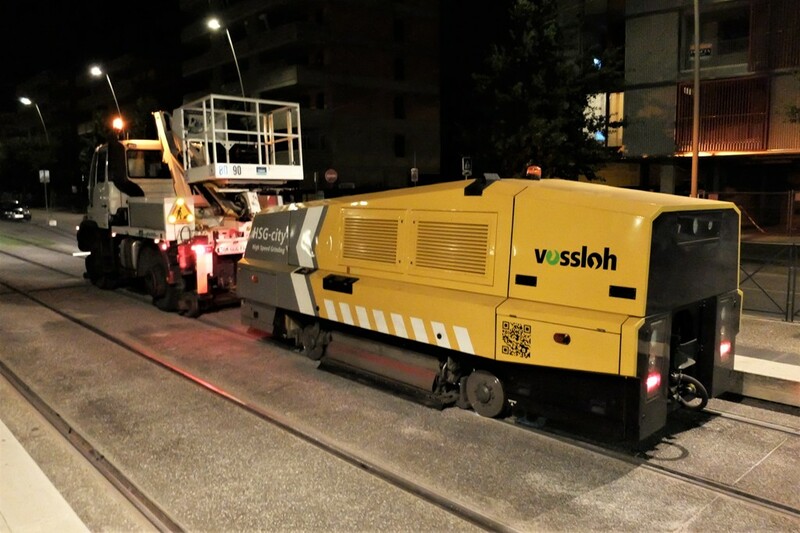 Toulouse’s Tisséo is the first French operator to entrust the maintenance of its tram tracks to Vossloh's High Speed Grinding (HSG) procedure. Vossloh machined Toulouse’s entire tram network in only eight nights from late June to early July, 2017. Tisséo was impressed with the innovative HSG technology and the service package that accompanied the deployment, particularly due to the fact that the rails were ground at an unprecedented average speed of over 20 km/h. Jean-Louis Huillet, who is responsible for tram system infrastructure at Tisséo, was very satisfied with the results and revealed what he expects for the years to come: “We contracted Vossloh after receiving a very attractive proposal in response to our public invitation to tender. Neuhausen am Rheinfall, 20 September 2017 – The 27th Trapeze User Conference in Dresden from 4 to 6 September 2017 was a complete success in two respects. On the one hand, the attendance figures with more than 200 users from about 60 German-speaking transport service providers were way above the long-term average. On the other hand, Trapeze presented new innovations for the European market together with extended solutions for operational control systems, passenger information and ticketing. Furthermore, Trapeze's driverless electric bus called "Trapizio" was an absolute eye-catcher on the premises of Dresdner Verkehrsbetriebe. In the context of the User Conference, the participants spent three days looking at new and extended solutions and technologies for more efficient intermodal passenger transport. In his welcoming speech, CEO Peter Schneck focused on the challenges of the market regarding efficient corporate management for public and private transport companies. He expressed his belief that Trapeze will continue to respond with innovative products to the ever new challenges of public transport. "We will continue to adjust our strategies to the challenges of the market in order to offer fast, adequate solutions even under changing framework conditions. Open interfaces and partnerships in particular are the key to success", says Trapeze CEO Peter Schneck. Durban, South Africa will soon be host to the largest gathering of African transport professionals – both in rail and in maritime. The second annual African Rail Evolution forum, co-located with the 6th annual African Ports Evolution forum and Kwazulu-Natal Export Week will take place 17-18 October 2017 - providing a broad access to transport entities that can facilitate trade globally. The only rail maintenance and rehabilitation forum in Africa, CPD accredited with ECSA by SAAMA, will be chaired by both Mr Brian Monakali, Deputy Chairman of the International Heavy Haul Association and Ms Renaire Huntley, Executive for Strategy and Business Development at the Rail Safety Regulator. 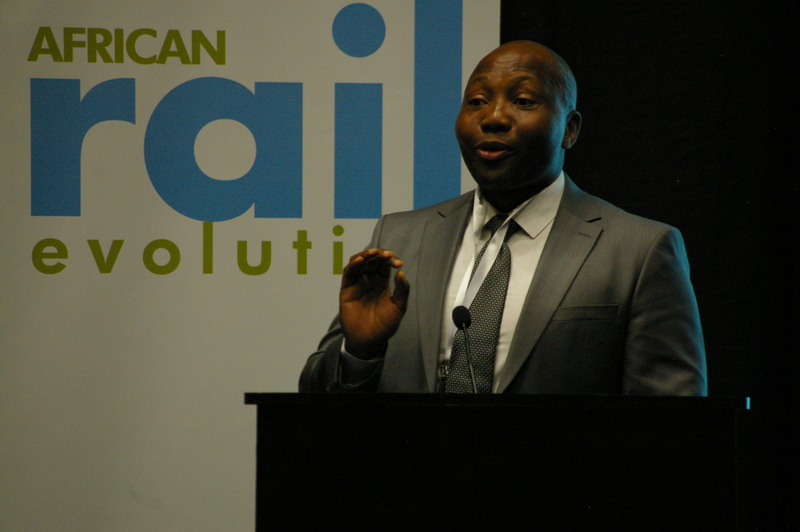 The two-day forum will feature over 11 countries and over 6 African rail operators participating in the programme. The forum’s joint keynote plenary session, chaired by author and African business specialist, Mr Victor Kgomoeswana, will look at ways to enhance regional connectivity and inter modal value chain opportunities to drive social and economic development in Africa. Both the South African Minister of Transport, Hon Joseph Maswanganyi and his Nigerian counterpart, Hon Chibuike Amaechi, will deliver Ministerial addresses followed by a high-level panel discussion. An African rail operator’s focus session will feature three leading rail operators, including ZRL, TAZARA and TFR. Eng Fred Mwila, Technical Manager for Projects at Zambia Railways will present a case study on remanufacturing as an answer to aged and under maintained rolling stock in Sub-Saharan Africa, while Principal Track Engineer at Transnet Freight Rail, Mr Jonathan Duvel, will present on Transnet’s track performance on the NATCOR corridor, along with challenges and improved maintenance management solutions. SYSTRA announces the acquisition of Scott Lister, an Australian head-quartered company specialising in systems engineering and risk management, largely for the railway sector. This acquisition gives SYSTRA the wherewithal to build up its activity in Australia, a high-potential market for transport infrastructure. This acquisition also gives SYSTRA the opportunity to reinforce its skills in systems safety and integration. Scott Lister was founded in 2009 by associates Mark Scott and Howard Lister and has a staff of 60. The company's chief activity consists of engineering assurance, safety and reliability assessment, comprehensive (design, integration, construction, testing & commissioning) engineering services, as well as project management and management systems development. With Australian offices in Sydney, Brisbane and Melbourne, the company also has offices in Singapore and London. 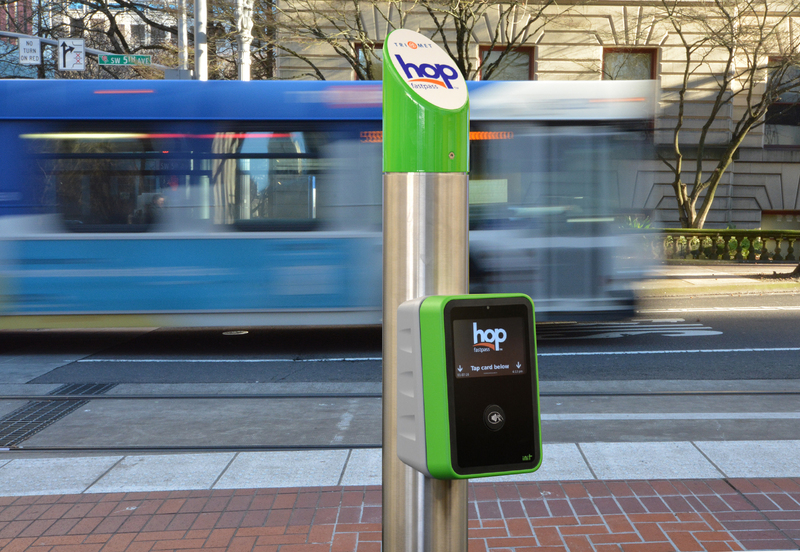 In partnership with TriMet, C-TRAN and Portland Streetcar, INIT has delivered the final element of the newly launched Hop Fastpass™ e-fare system. Since August, the open payments component has been in operation within the Portland-Vancouver metropolitan area. Regional riders can now pay for fares using a mobile wallet such as Android Pay, Apple Pay or Samsung Pay, as well as any contactless bank card. They simply tap their phone or card on any of the 1,200 INIT validators and hop on board the Portland Streetcar, C-TRAN buses including The Vine, TriMet’s buses, MAX light rail and WES Commuter Rail. Il Syndact Mixte des Transports Artois-Gohelle ha aggiudicato ad AEP il rinnovo del Sistema di Bigliettazione Elettronica della rete TADAO (Transdev) nell'area della città di Lens (Francia) e lo sviluppo dell'interoperabilità con la carta regionale Pass-Pass per un importo di 6.196.110,00 euro. "Ancora una volta AEP conferma la superiorità della sua offerta," ha dichiarato l'ing. Saverio Bettini, Amministratore Delegato e responsabile del settore commerciale di AEP "che riesce a battere importanti competitor internazionali anche in un Paese come la Francia, notoriamente tra i più esigenti in tema di Bigliettazione Elettronica". Il sistema, basato sulla nota suite applicativa ET - The Easy Ticketing di AEP, prevede tra l'altro oltre 120 emettitrici self-service RTVM-I per le nuove 4 linee BHNS (BRT, bus in sede propria) e include le nuove validatrici Futura 3B/E, tra le pochissime presenti sul mercato, se non le uniche, a offrire tutte le certificazioni richieste per il processo delle carte bancarie EMV. Tra di esse, la ormai nota PCI-PTS (da non confondere con la PCI-DSS), che impone la costruzione sicura anti-intrusione del lettore, proprio come un terminale POS, tanto da meritarle l'appellativo di validatrice POS. AEP offre oggi per prima in Italia la completa linea hardware, software e servizi per l'open payment sul modello Transport For London (per altre informazioni cliccare qui). 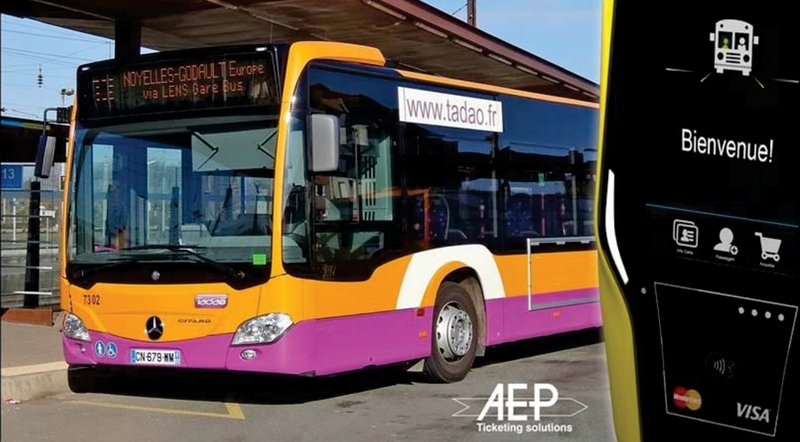 The Syndact Mixte des Transports Artois-Gohelle has awarded AEP the renewal of the Electronic Ticketing System of the TADAO (Transdev) network in the area of Lens (France), together with the development of interoperability with the Pass-Pass Regional Card for the Amount of € 6,196,110.00. "Once again AEP confirms the superiority of its offer," said ing. 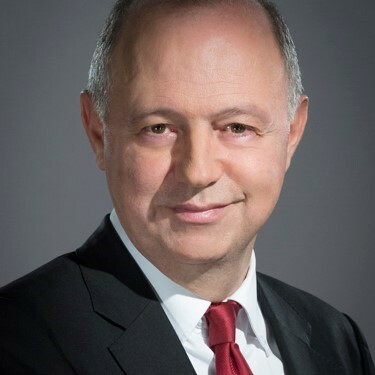 Saverio Bettini, Chief Executive Officer and Commercial Director of AEP, "which is able to beat important international competitors in a country such as France, notoriously one of the most experienced and demanding countries in terms of Electronic Ticketing." The system, based on AEP famous application suite "ET - The Easy Ticketing", includes, amongst other things, over 120 self-service RTVM-I Vending Machines for the new 4 BHNS (BRT) lines and includes the new Futura 3B/E validators. This device is one of the very few on the market, if not the only one, to offer all the certifications required for the EMV processing of bank cards. Amongst them we can mention the well-known PCI-PTS (not to be confused with PCI-DSS), which requires a specially built-in reader's safe intrusion feature, just like an EFT-POS terminal, thus deserving the name of "POS validator"." AEP offers today the first complete line of hardware, software and services for open payment realized on the same scheme of Transport for London (for more information click here) in Italy. Through its international efforts, the company raised its sales and profit to the highest in its history: In 2016, Frauscher Sensor Technology significantly increased its order intake by almost 80% from 43.4 million euros to 77.0 million euros. On a global level, Frauscher cooperates with a range of sales partners and is represented by ten locations all over the world, two of which, Frauscher India and Frauscher Brazil, were able to more than triple their turnover in 2016. 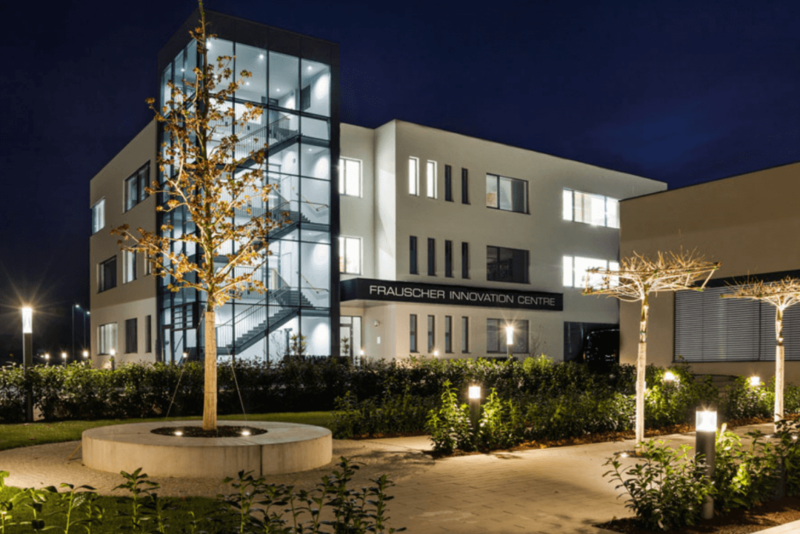 To meet increasing demands in services and products, the new Frauscher Innovation Centre was opened in Austria and the sensor production site has been extended. Additionally this year, more talent has been hired than ever before – some of whom have joined the company’s recently established locations in Australia and the USA, where some major projects have just been realised. 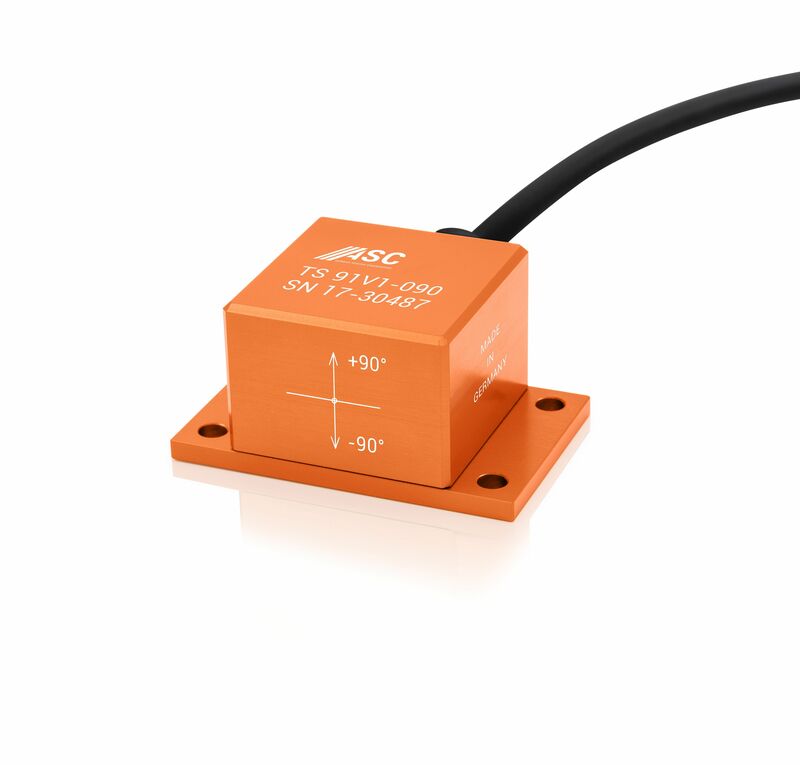 ASC, the leading manufacturer of accelerometers, angular rate sensors and IMUs (inertial measurement units), has now unveiled its first tilt sensor and included it in its product range. The ASC TS91V1-090 is a uniaxial sensor in an aluminium housing, with stand-out features including its high resolution (0.005º) and operability over a wide temperature range. This means it is perfectly suited for measuring angles in construction, the agricultural sector and that of renewable energies as well as in rail and automotive sectors. MTM Power GmbH, the specialist for individual power supplies, offers with the series HSD primary switched DIN rail modules with DC input voltage. The devices offer an input voltage range of 20...72 VDC and allow efficient solutions for different applications where low power is needed. Due to the thermoselective vacuum encapsulation (EP 1 987 708, U.S. Patent No. 8,821,778 B2) the devices offer a best possible protection against dust and humidity and are especially robust against mechanical stresses like shock and vibration. The 15 W or 30 W modules are available with the single outputs of 12 V, 24 V and 48 V. They offer an isolation of 3,3 kVAC between input and output and comply with the up-to-date EN standards as regards CE conformity. Further features are SMD technology supported production, 100 % burn-in test and automatic 100 % final test. The series HSD is short circuit protected, needs no ground load and operates in a temperature range between -25…+70 °C. The HSD series offers multi-purpose DIN rail power supplies with high density and small dimensions. Frequentis AG is an international supplier of communication and information systems for control centres with safety-critical tasks. Such “Control Centre Solutions” are developed and marketed by Frequentis for the business segments of Air Traffic Management (civil and military air traffic safety, air defence) and Public Safety & Transport (police, fire brigades, rescue services, shipping, railways). The expansion of the company group with Comsoft Solutions GmbH, at the beginning of 2016, brought a major boost to the ATM business segment. The complementary product portfolio reinforces Frequentis' worldwide leading role with communication and information solutions in this sector. 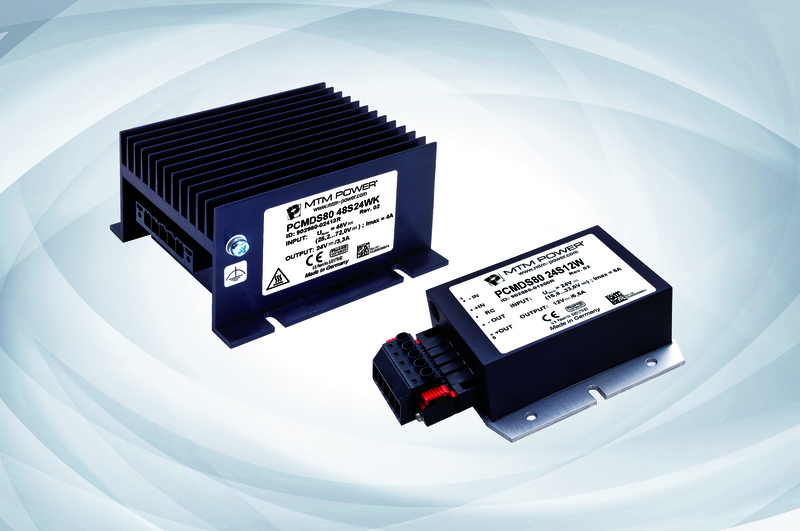 The DC/DC converters PCMDS80 from MTM Power® are specially designed as decentralised power supplies in vehicles and for supplying closed sub-systems in rolling stock applications. They are available with three wide input ranges thus enables the use of the converters on batteries with 24 to 100 V acc. EN 50 155. The converters are also suitable for use in industrial and telecommunication applications. The PCMDS80 are available with 80 W output power and operate according to the single transistor forward converter topology with a frequency of 50 kHz. With the help of a transformer and a secondary linear choke, a galvanically isolated output voltage (12 V; 13,8 V; 24 V; 27,6 V or 48 V) is produced which is adjusted by pulse-width modulation according to the current mode principle. The devices can be operated in a temperature range of -40…+70 °C without derating and have an efficiency of up to 88 %. The dimensions of the base plate version are 119 x 100 x 40 mm. 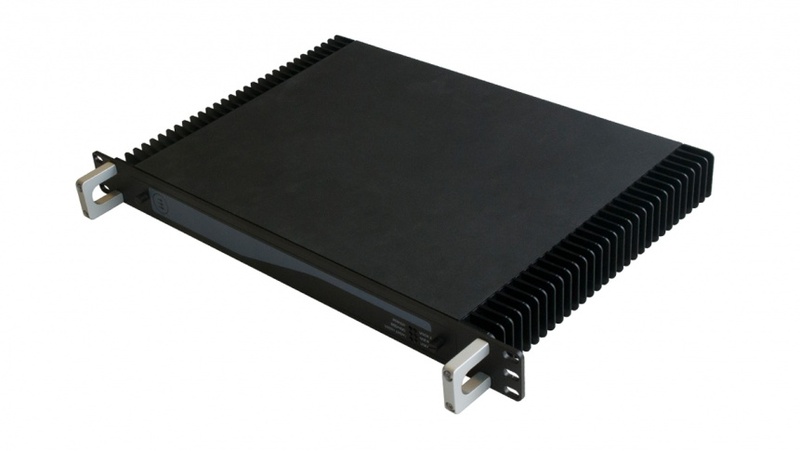 Due to the rugged design with contact-cooling (BPC technology), it is possible to reduce the power loss via heat dissipation through the mounting plate while increasing the life-time of the devices at the same time. In addition a heat sink version with 119 x 115 x 65 mm (length x width x height) is available. The thermoselective vacuum encapsulation (EP 1 987 708, U.S. Patent No. 8,821,778 B2) guarantees homogeneous heat dissipation within the modules as well as an excellent resistance against environmental influences such as shock, vibration and humidity. The converters need no ground load and are short-circuit protected by primary and secondary power limiting. They are maintenance-free, prepared for the use in devices with Protection Class II and fulfil the fire protection directive EN 45 545-2. This year MTM Power wants to further increase its worldwide export business. The winning of Precimation AG as a new representative for Switzerland lays the necessary foundations for raising the export share of the turnover in 2017. Precimation has a unique product portfolio connection systems and components and its linecard includes more than 25 of the most effective manufacturers worldwide. As a leading company for connection systems and components in the fields of industrial electronics, telecommunications, rail and defence technology, aviation and space travel, Precimation can draw on a solid base of professional knowledge and many years of experience. Especially for the cable equipment of prototypes and small batch series, SAB Bröckskes, the specialist in cable production offers highest support. Connection cables for the visible areas of devices are a special challenge for the prototype and small series production. Individual requirements regarding numbers of cores, outer diameter, sheath colour and grip shall be fulfilled. Nevertheless, for such small quantities only huge lengths are available. Also the especially designed colour of the device is rarely to be found with stored cables. Remedy of single parameters often lead to high remainders which generally can´t be used any more. Especially. 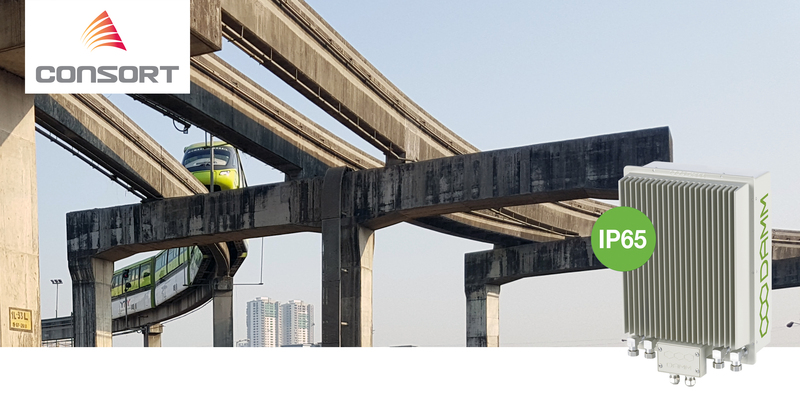 DAMM®´s local system Partner, Consort Digital, will be responsible for the entire project delivery for Mumbai Monorail Phase II. DAMM® Cellular Systems A/S has through its partner Consort Digital been awarded the contract to provide TETRA based mission-critical radio communication system for the second phase of Mumbai Monorail between Wadala Depot and Gadge Maharaj Chowk. Frauscher and Alstom deepen their relationship in a long-term leading supplier agreement. 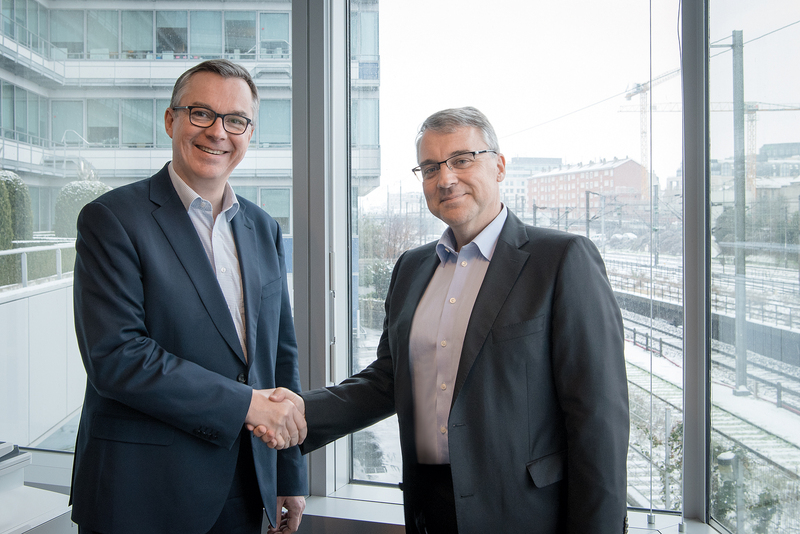 Frauscher has joined the Alstom Alliance, the strategic partnership program of Alstom. The charter was signed by Olivier Baril, CPO Alstom, and Michael Thiel, CEO Frauscher Sensor Technology. Alstom Alliance acknowledges approx. 30 companies who work closely with Alstom in terms of business development, industrial excellence as well as products and innovations. IGE+XAO announces the creation of IGE+XAO INDIA Private Limited in Bangalore, at the heart of the Indian “Silicon Valley”. IGE+XAO INDIA will distribute IGE+XAO Electrical CAD, PLM and Simulation software ranges on the rapidly expanding Indian market. It will target local key accounts as well as Small and Medium businesses (SMB). As of now, Bernhard Unkel is ASC’s Sales Representative for West and North Germany. With a degree in electrical engineering, he has extensive experience as a sales and project engineer in iron and rolling mills, in measurement and test engineering in the automotive sector, and in building automation. 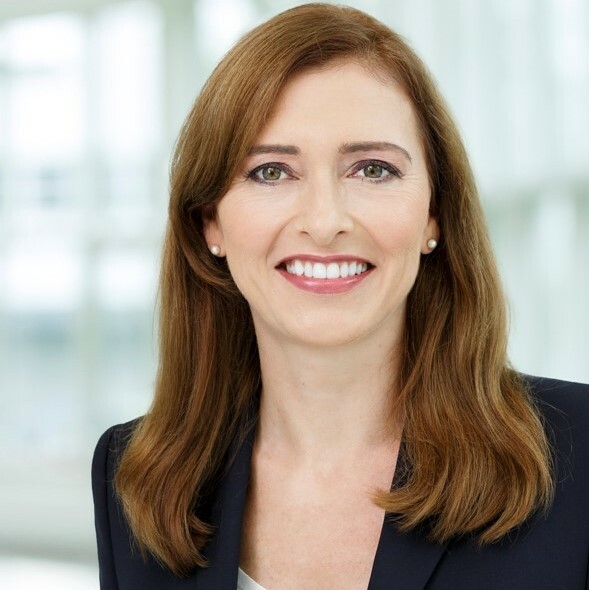 Unkel has held responsibilities at Siemens, Ahlstrom and Honeywell, amongst others, and was Branch Manager at Johnson Controls. Since 1999, he has been working in the sensor industry, holding sales functions in the area of sensors and measurement. Of late, Unkel was Sales Manager at Entran Sensoren as well as CEO at Atex Sensoren GmbH and Sensocon GmbH. Over the 2015/2016 financial period, consolidated turnover for the Group amounted to €28,117,957 compared to €27,337,110 one year earlier. Commercial activity in particular benefited from the strong momentum, both nationally and internationally, in the sale and rental activities of licences for SME/SMI and major accounts. Operating income, up 7.6%, amounts to €7,349,242 inducing 26.1% for operational profitability**. Along the same lines, net income amounted to €5,489,257, up 3.8%, as such bringing net profitability*** to 19.5%. In September 2016 the quantity of SKUP cards distributed in the Silesia region (Poland) have reached the 203.000 units. The system deployed by Asseco Poland is based on ET - The Easy Ticketing, the Electronic Ticketing System from AEP, and has been working at full speed with remarkable results with the expectation to further grow during the next few months up to exceed 700.000 cards. This is still far from the 4 Million cards managed by the AEP system for ATM Milano, or the 600.000 cards for GTT Torino; however the SKUP Card is another confirmation of the enormous capability of the AEP solutions.